FILMography is the work of one Mr Christopher Moloney, whose job as a writer for TV shows apparently isn’t too demanding. 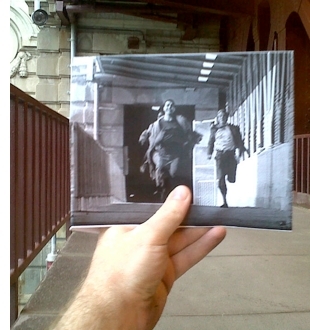 It must take huge amounts of time to print each large screenshot and then find each movie location. After all that, then hard part starts — getting the zoom, exposure and angle of the shot just right. Despite all those challenges, FILMography updates with surprising regularity. 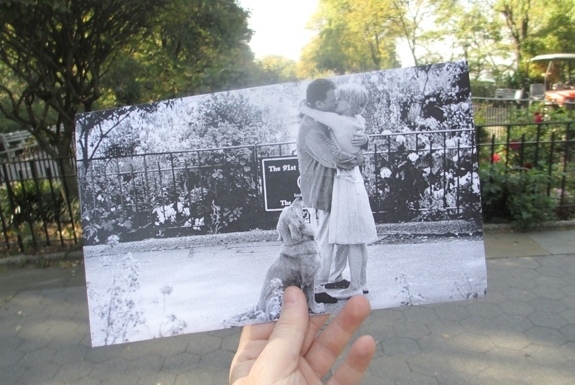 Most movie locations featured in pics on the blog are in and around New York City, but some are from as far afield as Southeast Asia. The movies run the gamut too, from classics like Breakfast at Tiffany’s to films like Weekend At Bernie’s that are, um, less-than-classics. Use the search box to search for pics with a specific movie title, movie year, scene location or actor.